and cities. Also look for New York and Chicago. 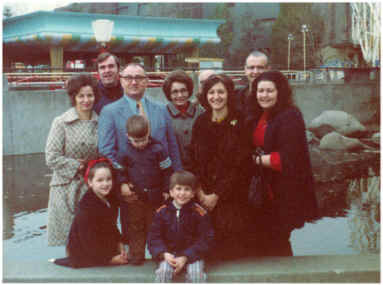 Recently, while looking through my childhood pictures, I found a picture of our family trip to the Space Needle in December of 1974. 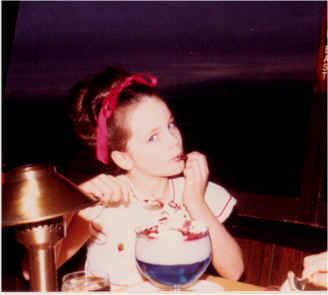 There I am sitting next to the big windows with a huge red ribbon in my hair and a red, white and blue dessert topped with chocolate, which looks most delicious and magical. It was a day I never forgot because the restaurant rotates and I'd never seen anything like that in my life. Since then we have made many trips back to the Space Needle and I took my nieces up to the restaurant for a special treat when we visited a few years ago. I had to laugh while reading this tiny book because it seems I remember something about a Santa ornament or Christmas ornament being stuck outside the window and we kept seeing it as we spun slowly around in the restaurant. 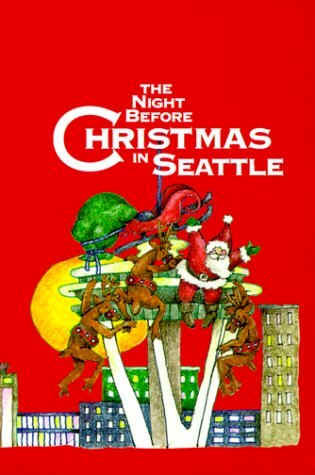 In this story, Santa gets stuck on the top of the Space Needle. Stuck atop the Space Needle!" There are references to shopping in Pioneer Square, working at Boeing, watching the Christmas Parade of the Ships and visits to Pike Place Market. The restaurant at the top of the Space Needle spins out of control and a cry for help is sent out from Lake Washington to the Puget Sound. Can Boeing help or will it take the Seahawks and the Mariners to get Santa down off the Space Needle? An enjoyable treat that will be loved by anyone who loves Seattle, Washington. my grandfather. I'm sitting next to my brother and cousin. Washington State is my favorite place to live in the world. Even after living in Africa, Florida State and traveling in Europe, Washington State calls me back time and time again. The 636 pictures in this unique book were collected from the America 24/7 project. During a single week, a team of inspired photographers, students and photojournalists sent in pictures from all over America. There are small and large pictures. Smaller pictures often frame the pages and larger pictures are featured in all their full-color splendor. Rick Smolan and David Elliot Cohen are the authors of the best-selling Day in the Life series of photography books. America 24/7 may also be of high interest. You can also send in your own picture and buy a custom cover. I ordered a custom cover for the American 24/7 book and was very happy with the quality of the cover and it was a fun experience. 24/7 books are now available for every state! All 50 titles became available on Sept 27, 2004. 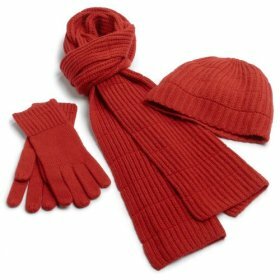 These make perfect gifts for Christmas, Weddings, Family Reunions, Graduations, Birthdays, Housewarmings, Baby Showers, Treasured Moments and Anniversaries. You can send in your own photo to personalize the cover with a one-if-a-kind book jacket. 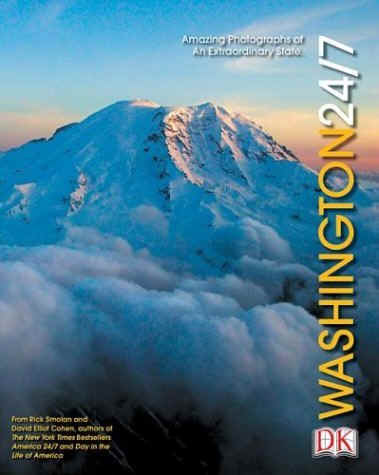 All you have to do is upload a digital photograph at the America 24-7 website. One of the best ideas since books were invented! I love the picture of the cat sitting on top of the computer monitor! Cats 24/7 will be released in June, 2005. ISBN: 0811848159 Cats & Dogs 24/7 will be released in April, 2005. The 24/7 books are the most successful photography books in history. Owning one of these books is like owning a piece of publishing history. 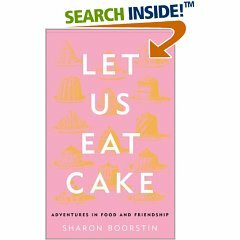 Sharon Boorstin has a way with words and her humor, love of cooking and memories of her childhood make this a fascinating read. To be honest, I connected with this book on so many levels I started to wonder why we had lived such similar lives. Page after page revealed details and similarities that I could not imagine could all be in one book. Then, the day after James Brown died, I was reading a book and his name appeared. So I decided to listen to an album of his Ballads while reading this book and I noticed a similarity in the nostalgia of his songs and the memories in this book. The stories and recipes in this book evolved from a notebook of collected recipes. The recipes all have a story to tell and this is as much about cooking as it is about a life that inspires adventures in the kitchen. Memories of Sharon Boorstin's mother making jam reminded me of my mother teaching me to make strawberry jam in Africa. Her memories of Seattle, Chicago, boats on Lake Washington, teaching, raising chickens, fondues, beef stroganoff, salmon, tuna fish sandwiches, angel food cake, tarte tatin, cherry-red punch and trips to Burgermaster all sounded so familiar. Everyone has a story and Sharon Boorstin is especially good at recounting her life as it relates to recipes. This book is filled with serious life choices, spontaneous moments, warm cozy memories and the inevitable heartbreaks and challenges of existence. She tells the story of her childhood, how she met her husband and writes beautifully about trips overseas and her exotic culinary discoveries. If you laugh while reading the first sentence of a book, that is usually a good sign. There are many humorous moments throughout to inspire laughing out loud. This book made me laugh and cry and it reminded me of all those long summers I spent at my grandmother's home in Seattle, learning to cook. If you enjoy cooking and love reading about a cook's journey through the world, this presents an especially intriguing set of memories along with the delicious recipes that inspired a life of cooking. She tells the story of how she talked to Julia Child at a party and later interviewed her on the phone. Sharon Boorstin's writing has appeared in the Los Angeles Times, Bon Appetit and Food Arts. She was the restaurant critic for the Los Angeles Herald-Examiner and lives in Beverly Hills, California. I love that Sharon Boorstin has snorkled with sharks and experienced horseback riding among a herd of elk in New Zealand. But what I love most about Sharon Boorstin's writing is her amazing ability to repaint pictures from the past with delicious details and a sense of nostalgia. Reading her books gives me hope! Her writing is a true inspiration and if you have ever thought of writing a cooking memoir, this is an excellent example of what can be achieved when you consider how every recipe has a story to tell. I can also highly recommend her novel: "Cookin' for Love." I hope she is working on another book because I love her writing style.